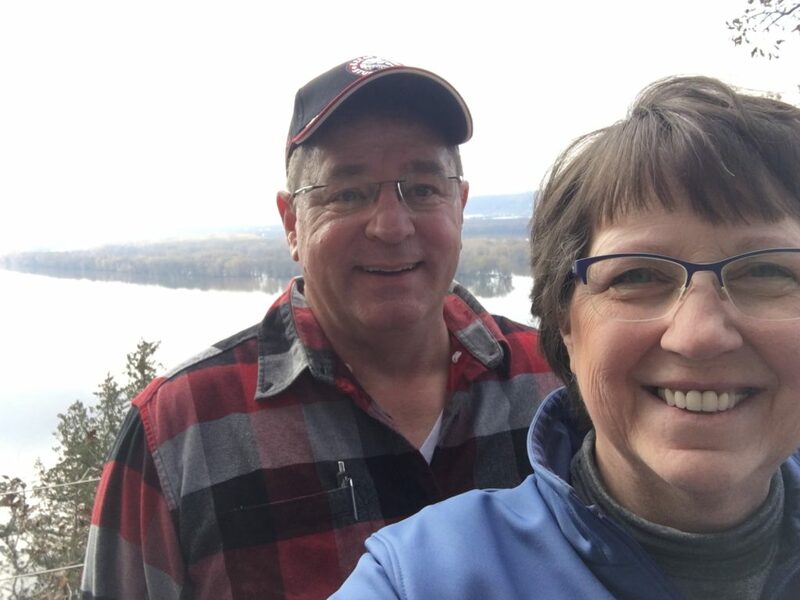 On Saturday, Gene asked me if I would like to go someplace new to walk, to which I replied, “You bet!” I’m always up for an adventure or the opportunity to explore some place new. 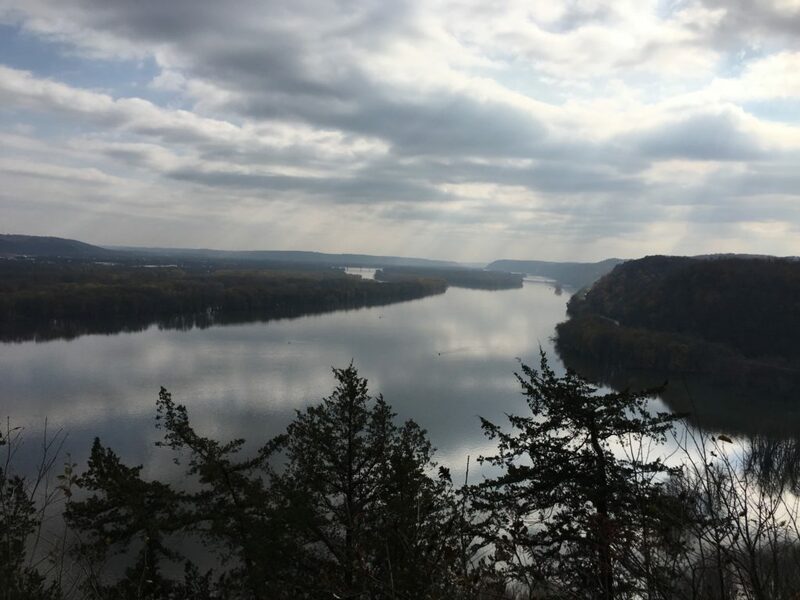 I quickly made a sketchy hotel reservation (pickings were slim as it was suppose to be peak leaf viewing season, so I took what I could get) and we set out for Effigy Mounds in Northeastern Iowa along the Mississippi River. The two hour drive gave me opportunity to read up on the park. 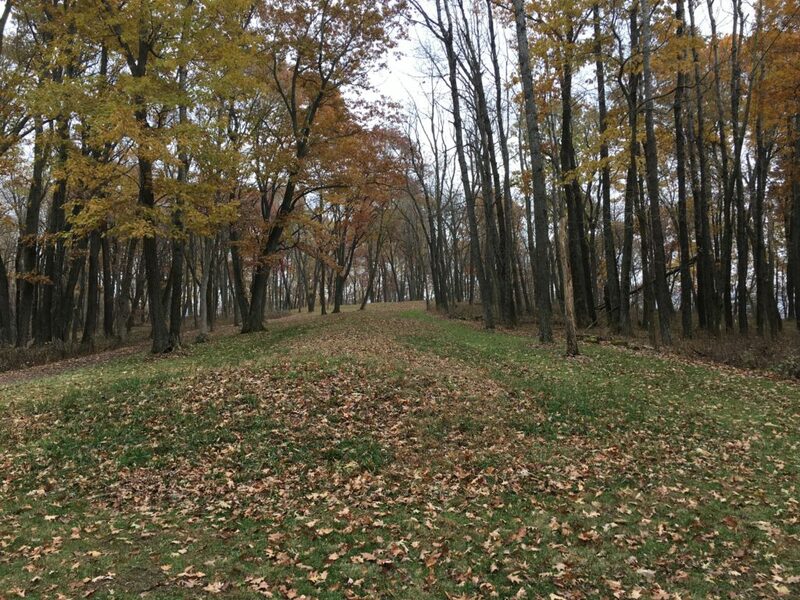 The park website description says: “Effigy mounds are raised piles of earth shaped like animals and other symbols, often used as burial grounds. 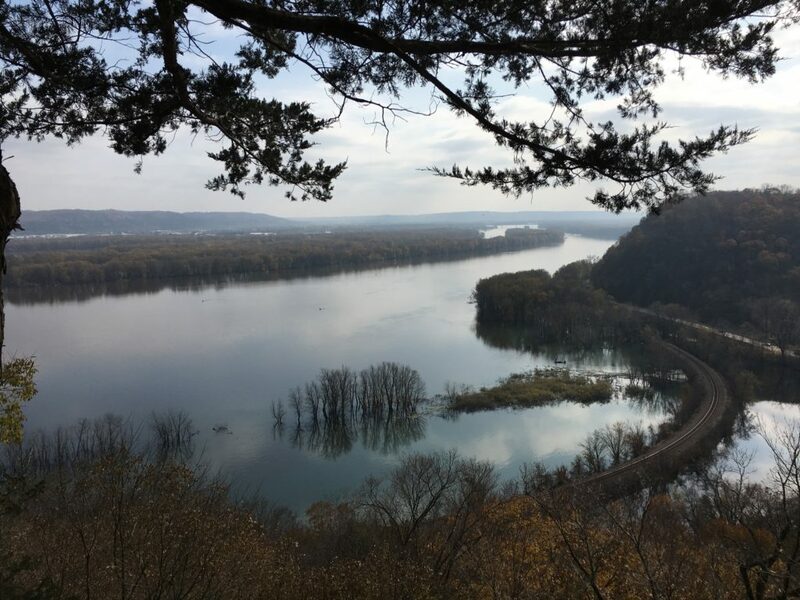 This national monument preserves more than 200 such prehistoric mounds created by American Indians living in northeast Iowa’s Upper Mississippi River Valley. The park has 14 miles of hiking trails. .” They may have left out a few key facts. At the halfway mark, there is a bench, thank GOD! I glare at my Fitbit. We recover our heart rates and keep climbing. I might be getting dizzy now. Another couple passes and says helpfully, “You’re almost there.” Sure we are. My Fitbit says otherwise. We eventually reach the top and Gene is hugging a tree while I pretend to be looking at leaves on the ground, hands on knees, gasping for air. I will say that the views were amazing and we found the mounds to be very interesting. It is difficult to imagine ancient tribes working as a family or community to build these elaborate mounds with only hand tools. We pass a sign that says, “Visitor Center .6 miles,” to which Gene responds, “Liar!” We laugh and keep walking and exploring. About 30 minutes later we see another sign that says, “Visitor Center .6 miles,” and Gene takes exception to it. I’m laughing at this point. We enjoy the beautiful day and after 2.5 hours decide to face the descent. One would think that going down would be easy, but the slope was a killer. Gene walked in front of me so that if I started sliding, I could take him with me. 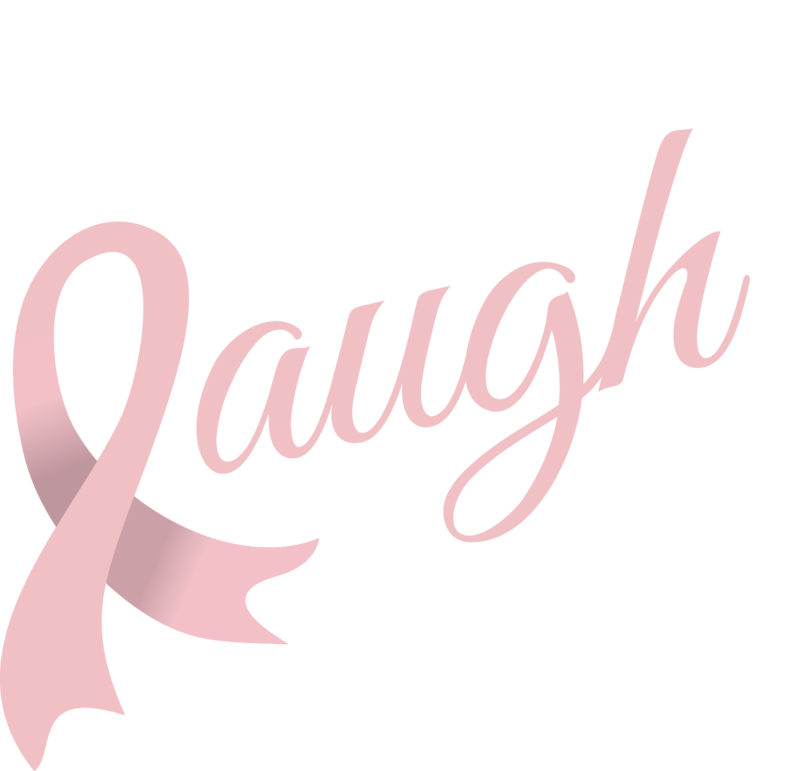 As we passed people, I would state helpfully, “you are almost there!” To which several people said, “That’s what the last two couples said!” Too funny. When we got to the car, Fitbit said we had walked 8.3 miles, the park signs said .6 (just kidding, we did the 3 mile loop) so maybe we were taking baby steps. 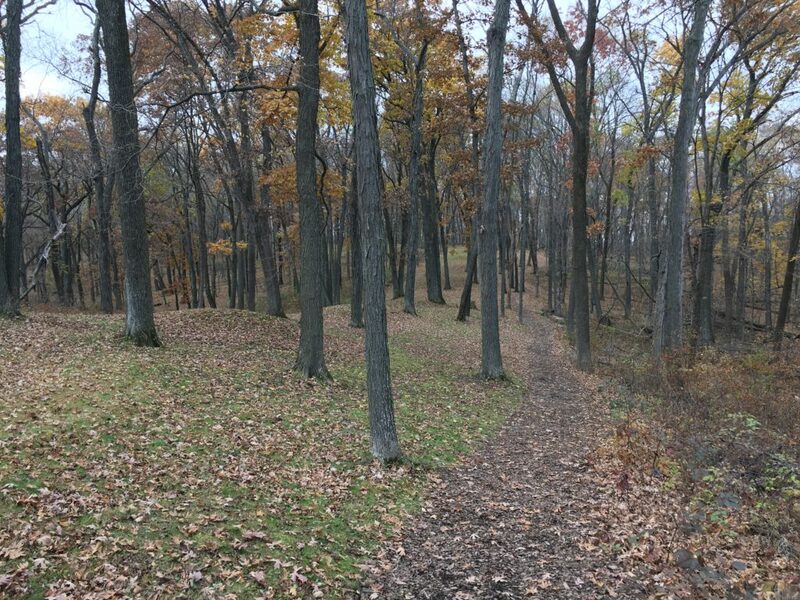 Effigy Mounds is beautiful, but plan a day to explore, and take a tank of oxygen! Oh, and give my regards to the park ranger — evil woman!